Purlisse BB Cream Review + GIVEAWAY + Discount! I Am So Fat and Ugly So What’s The Point? Let me tell you a funny story. Near where I live there’s an office space that says Santa Claus: there’s a bearded fellow in a red shirt who does his paperwork while sipping Coke Zero. He has a red car that says “Santa Claus has come to town” and even a digital counter in the window, counting down days until Christmas. It’s both confusing and amusing. The Holiday season doesn’t usually excite me too much, but I do like gift giving. When Lookfantastic.fi kindly approached me if I wanted to check out their Beauty Advent Calendar 2018 of course I said yes! I did a poll on Instagram asking if you wanted to know all of the secret contents and the votes were close divided. So in this review I mention some brands and a couple of random products, but if you hate spoilers then scroll with caution! The Lookfantastic.fi Advent Calendar 2018 features 25 beauty items (mainly minis or deluxe samples) from skincare to haircare, cosmetics, tools and tanning. Each item is individually wrapped as a small gift, designed to bring you or your family/friends joy every day in December until Christmas. The calendar costs £79 / €109, with contents “worth over £300 / €325”. Lookfantastic often has discount codes so check out the front page of the site before ordering! The Advent Calendar was very neatly in a fitted cardboard box, no extra padding. For me the delivery took about 2 weeks: I received a text message I could fetch the box from my local Post Nord pickup point. The actual size of the Advent Calendar surprised me: it’s huuuge. I don’t think the size comparison above with my hand does justice for this beautiful box. The box has a nice magnetic closure, feels sturdy and the look is very chic: Lookfantastic logos only in the front and top. You pull out one of the mini boxes with gold foil numbering to see what’s inside. The items themselves are individually wrapped in beautiful red silk paper, which is great especially if you “happen to” sneak a peek what’s coming next.. I love this kind of attention to detail without excess packaging: silk paper wrapping is easy to recycle. If you decide to purchase this Calendar to yourself it could easily be reused next year by filling it with sweets for example. OK this section has a couple of small spoilers. Be warned. As I said above, most of the products are travel sizes or minis. The sizes vary, but they’re about 4ml to 15ml and valued around £10 / €12 according to the press release. There’s a couple of full size items, which raise the value of the box, but one of them seems very over-prized to me (never heard of the brand and exclusive item to Lookfantastic) . Therefore I don’t think the real value of the Advent Calendar should be advertised over £300/€300. I decided to completely disregard this expensive item and the counted value using the press info and it was still over £250/€250 – not bad at all. Emma Hardie, Caudalie, First Aid Beauty, Illamasqua, Rituals and Omorovicza. I devoured the whole Calendar in one evening, but as a gift for someone who enjoys beauty this is a very nice one. Displaying the beautiful Calendar, opening the doors and unwrapping alone is so much fun. There’s a good variation of products from skincare to hair to makeup, so if someone isn’t very into makeup alone I think this mix of “a bit of everything” still makes this a good gift. In my opinion The Lookfantastic Advent Calendar 2018 is a good value, but for me it’s not as high as advertised. Some of these items I could imagine as gifts with purchase, but this is a personal preference as I’m not too crazy about sample sizes. I’m going to switch out a couple of products I need to try (you know, for science) and gift this forward for a family member to enjoy. 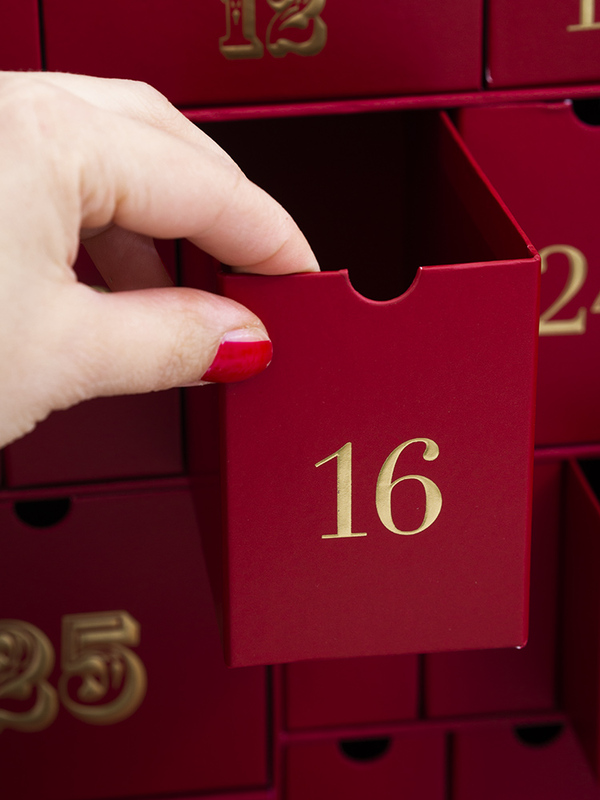 Have you bought any Beauty Advent Calendars? Can you resist opening all doors at once? **This item was kindly gifted for consideration. All thoughts are my honest & my own. Beauty enthusiast from Helsinki with a passion for luxury makeup, eco skincare and Japanese brushes. Read more about me. My skin type: dry/dehydrated, formerly acne-prone. All thoughts are honest & my own. I accept PR samples with no promise of a review, gifted products are marked with an asterisk (*). Please do not use my images without permission.